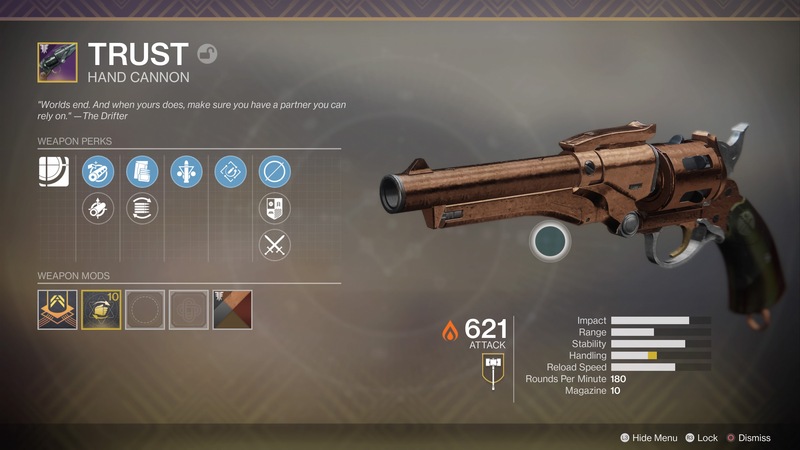 Today’s Snapshots comes to us from Destiny 2 where I’m going to take a moment to bring attention to my beautiful hand cannon Trust. It probably isn’t the best hand cannon in the game by far, but it has heart and looks pretty damn cool with the copper skin I attached to it. Look forward to a new Snapshots every whenever-I-remember-this-column-exists.